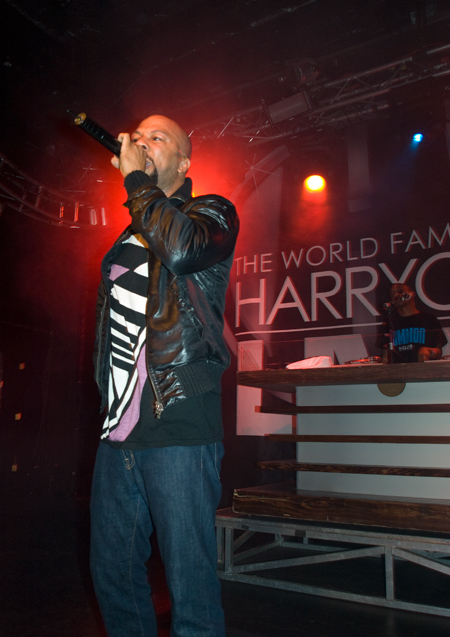 Common’s performance at Harry O’s was a refreshing and invigorating, the seasoned rapper played many of his familiar hits, bringing the crowd to a near frenzy of hip hop arm pumping and hip swiggling ecstasy. The club set up helped his presentation, the soundsystem had enough bass to nearly make me sick to my stomach, and the lights were reaching that epileptic state reserved for raves and Whitesnake shows. 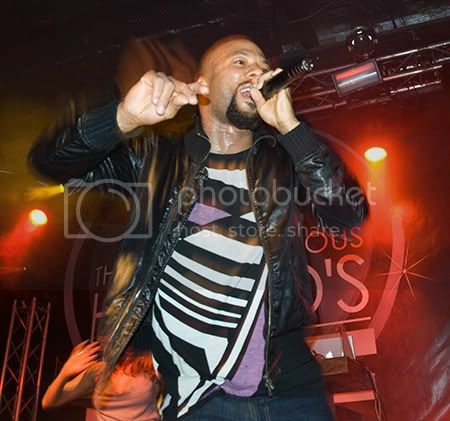 Personally, the highlight of the show was Common’s freestyle – focusing on the goings-on of the club, including the impromptu lap dances, his theft of water from the waitress walking by, and other Sundance jokes and rhymes. 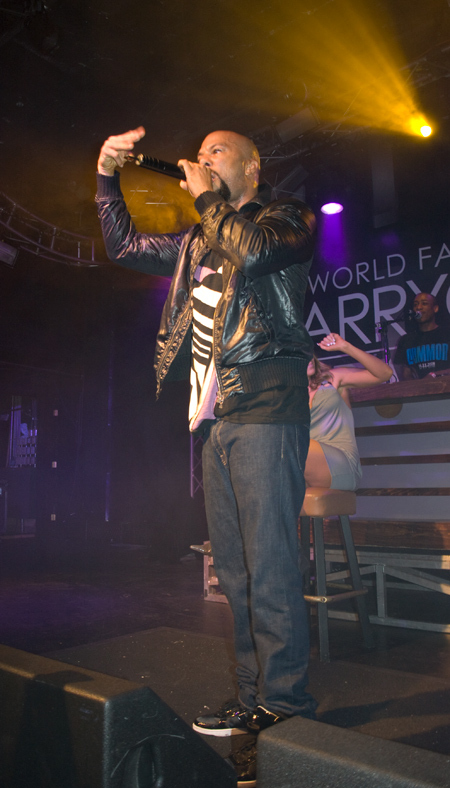 The man has got some serious chops – definitely bringing a new energy to his live show not seen in his Gap commercials. Right up front was half of the University of Utah’s undefeated football team – in jerseys and all, living up their 15 minutes with the horde of photographers popping flashes left and right.